This emerald and gem-set ring by Chopard was designed as a flower, set at the centre with a heart-shaped emerald weighing an eye-catching 19 carats. 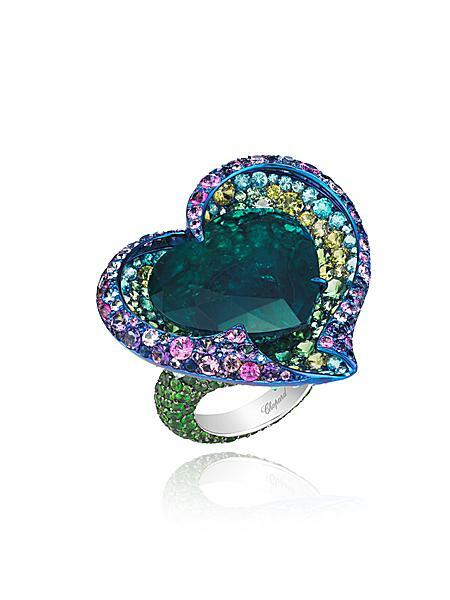 A colourful overlapping gemstone surround completes the artistry. These Hemmerle earrings mesmerize with an array of zircons, sapphires and demantoid garnets set in bronze and white gold. 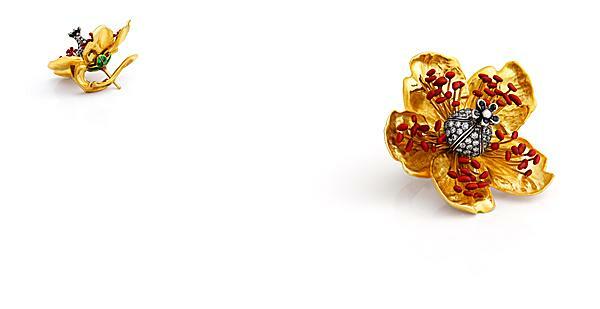 Otto Jacob’s precious red enamel earrings feature yellow gold casts of St. John wort’s petals (Hypericum perforatum). The ovaries of white gold are micro pavé set with diamonds and surrounded by stamens and pollen grains covered with deep red enamel. Round diamonds and sapphires? Cabochon-cut turquoises? Yes, please. 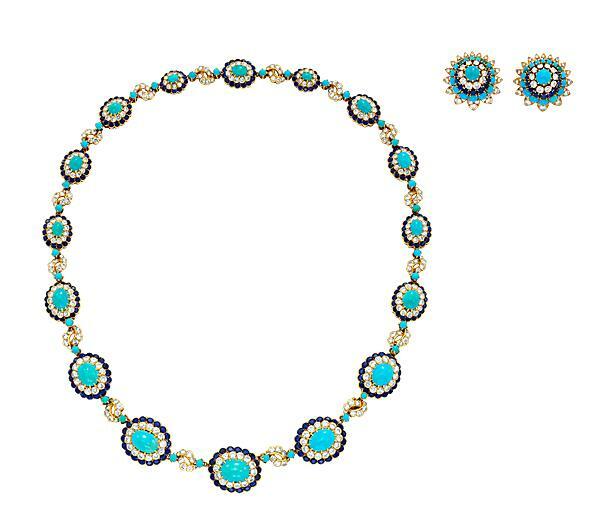 Van Cleef & Arpels’s motifs in this édaillons necklace and matching étoiles earrings reveal an Indian influence. 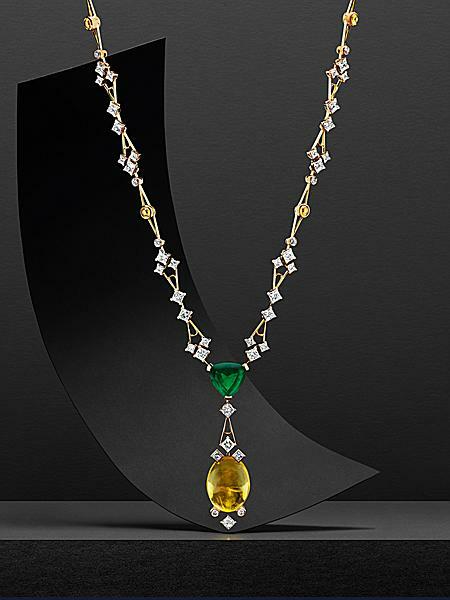 Reza‘s Délhéa necklace features a 30.34-carat yellow cabochon Ceylon sapphire, a 5.76-carat Troidia Brazilian emerald, 11 yellow oval Cabochon sapphires weighing 3.48 carats, 103 princess-cut diamonds totalling 16.17 carats and 28 brilliant-cut, diamonds weighing 1.51 carat, all set in white browned gold. Yes, there’s a lot to love. 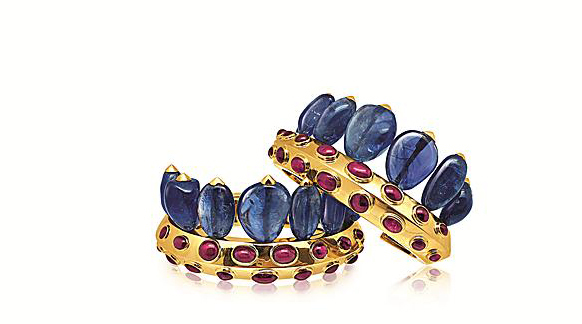 …with Verdura’s Pair of sapphire, ruby and gold “Indian Cornonet” cuffs. 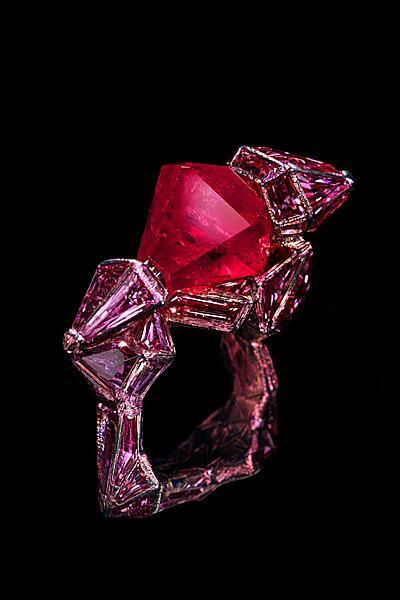 It was the distinctive form of the ruby’s main stone that first attracted its creator Wallace Chan. 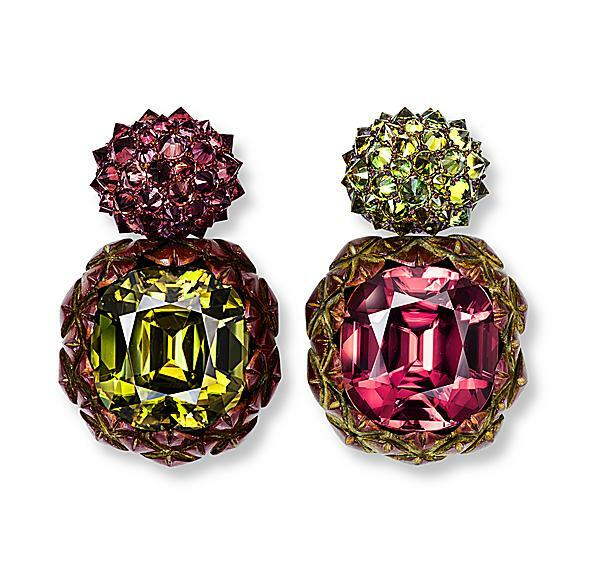 By marrying imagination with observation, he used pink sapphires to create a glacier-like form that blends harmonious colours, geometric shapes and dancing light.